Jaguwar began life as a trio, formed in Berlin by Oyèmi and Lemmy in 2012. Their drummer Chris signed up in 2014 to complete the current line-up. Thus far they have released two EPs on the US label Prospect Records and have played countless shows in the UK, Denmark, France, Serbia, Germany, and beyond. They have shared the stage with acts like We Were Promised Jetpacks, Japandroids, and The Megaphonic Thrift, resulting in many happy faces and ringing ears. In 2016, they sent a brief e-mail to Tapete Records with music attached, asking to support The Telescopes on tour. Any band keen on supporting The Telescopes was sure to spark the label's curiosity and, before long, the two Jaguwar EPs had become firm favorites at the Tapete office. File under: wall of sound, shoegaze, noise & pop. It is by no means injurious to surmise that My Bloody Valentine have had (and continue to have) some small, yet significant, degree of influence on Jaguwar. In 2017, armed with an impressive array of effect devices, guitars, bass, and amps, backed up by a prodigious supply of coffee and cigarettes, they decamped to the Tritone Studio in the idyllic environs of Hof, Bavaria, to record what would become Ringthing. Typically for the genre, they crafted layer upon sonic layer. No less typically, deadlines were not always adhered to. But it has been well worth the wait: more noise than ever and even more pop. "Noise and detail" is how the band describes their sound. 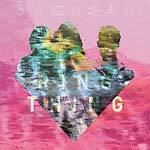 Ringthing is a shimmering, reverberating, crashing monolith of an album. Jaguwar sway from combining saccharine pop with Amphetamine Reptilian noise to sounding like a serendipitous encounter between The Cure and Ride. Prepare to expect the unexpected from their meandering song structures. Successfully unshackled from their paragons, the trio's sui generis sound is destined to be heard all over the world. At thunderous volume! LP version. Includes CD. 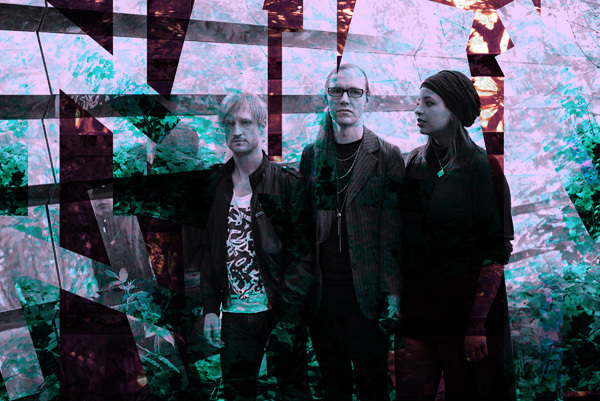 Jaguwar began life as a trio, formed in Berlin by Oyèmi and Lemmy in 2012. Their drummer Chris signed up in 2014 to complete the current line-up. Thus far they have released two EPs on the US label Prospect Records and have played countless shows in the UK, Denmark, France, Serbia, Germany, and beyond. They have shared the stage with acts like We Were Promised Jetpacks, Japandroids, and The Megaphonic Thrift, resulting in many happy faces and ringing ears. In 2016, they sent a brief e-mail to Tapete Records with music attached, asking to support The Telescopes on tour. Any band keen on supporting The Telescopes was sure to spark the label's curiosity and, before long, the two Jaguwar EPs had become firm favorites at the Tapete office. File under: wall of sound, shoegaze, noise & pop. It is by no means injurious to surmise that My Bloody Valentine have had (and continue to have) some small, yet significant, degree of influence on Jaguwar. In 2017, armed with an impressive array of effect devices, guitars, bass, and amps, backed up by a prodigious supply of coffee and cigarettes, they decamped to the Tritone Studio in the idyllic environs of Hof, Bavaria, to record what would become Ringthing. Typically for the genre, they crafted layer upon sonic layer. No less typically, deadlines were not always adhered to. But it has been well worth the wait: more noise than ever and even more pop. "Noise and detail" is how the band describes their sound. Ringthing is a shimmering, reverberating, crashing monolith of an album. Jaguwar sway from combining saccharine pop with Amphetamine Reptilian noise to sounding like a serendipitous encounter between The Cure and Ride. Prepare to expect the unexpected from their meandering song structures. Successfully unshackled from their paragons, the trio's sui generis sound is destined to be heard all over the world. At thunderous volume!